With so much bad news surrounding us every day, it’s easy to forget that there is still good in this world. But it’s also true that in times of tragedy, stories emerge which remind us that there are still good people — and, believe it or not, businesses — out there. And as Louisiana continues to deal with the devastating flood that has caused so much damage, we wanted to shine a light on some of those who are doing everything in their power to help their friends, neighbors and, perhaps most touching of all, complete strangers. 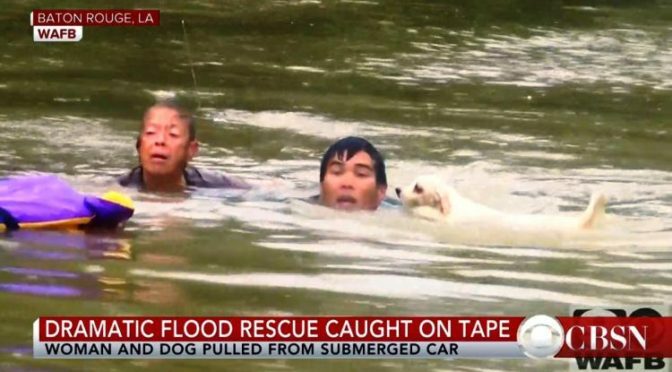 Take, for example, this video shot by a reporter from WAFB in which men come to the rescue of a woman trapped in her rapidly-sinking car, and then go back to save her puppy as well. According to the Daily News, the man who dove into the water has been identified as David Phung, and while we can’t help karma — notoriously labeled as a rhymes-with-witch — proves herself to have a softer side by rewarding this guy. 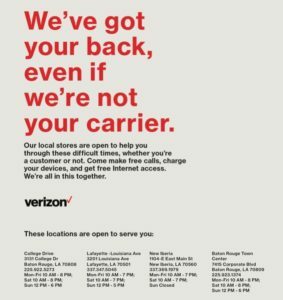 Meanwhile, Verizon is doing what it can to help people in the impacted areas, telling people, “Our local stores are open to help you through these difficult times, whether you’re a customer or not. 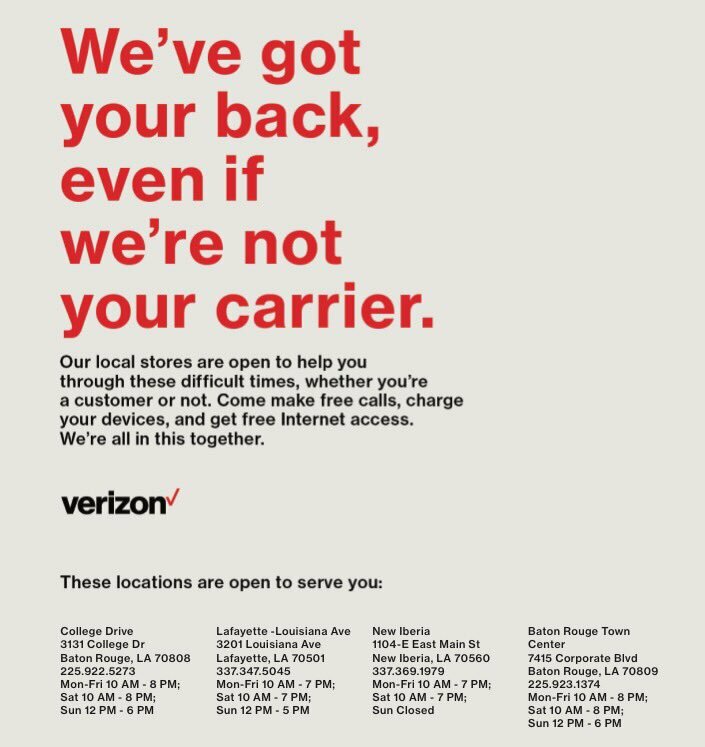 Come make free calls, charge your devices and get free Internet access. We’re all in this together. If the horrific images from these historic floods have you wanting to help but uncertain what you can do, the editors of the <i>New Orleans Times-Picayune</i> have gathered information. They have included places to drop off donations, links to volunteer for the Red Cross and more… including ways to help the many animals who have also been impacted and displaced by the floods. To find out how you can help, click here. And if you hear about everyday heroes who deserve recognition, hit up the comments section and let’s show them some love!